I would plan to do this lesson about halfway through my text structure unit. (I would show students my PowerPoint and work through my flipbook before this lesson would take place. 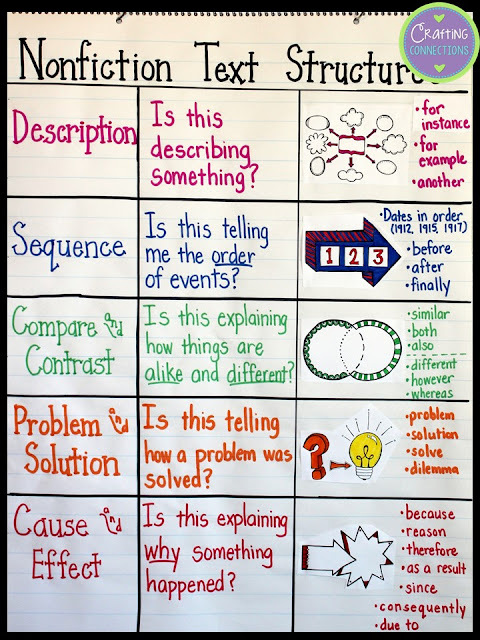 By doing these activities first, students should have all of the prior knowledge necessary to fully participate in this review lesson.) 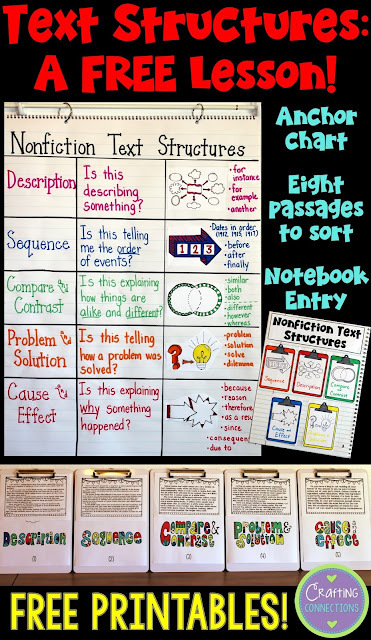 I would prepare for this lesson by drawing the base of my text structure anchor chart (the rows and columns would be drawn, and I would have the left column already labeled). 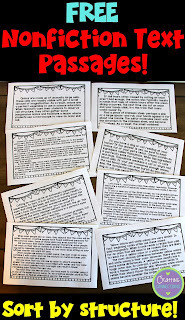 I would also have the passages printed, the interactive notebook copies printed, and the clipboards ready to go. Hold up one of the images, and ask students to tell me which row it belonged in. Glue the first image in place. 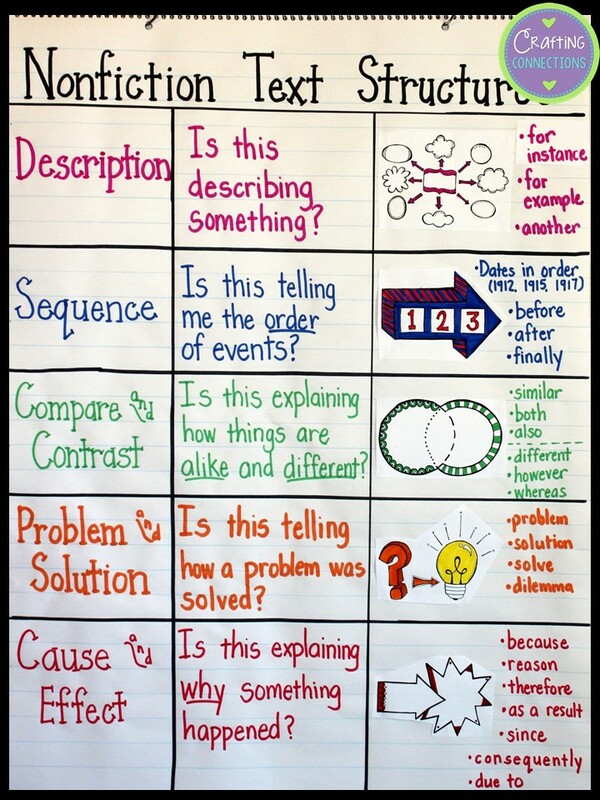 Ask students to help me think of a guiding question for that text structure that I could place in the middle column. Instruct students to turn to a partner and list some of the signal words we have learned for that text structure. Tell students that I'm going to jot down a few of the words I heard mentioned during the partner conversations that just took place, and do so beside the image (as shown). Repeat the previous five steps with the other four text structures. 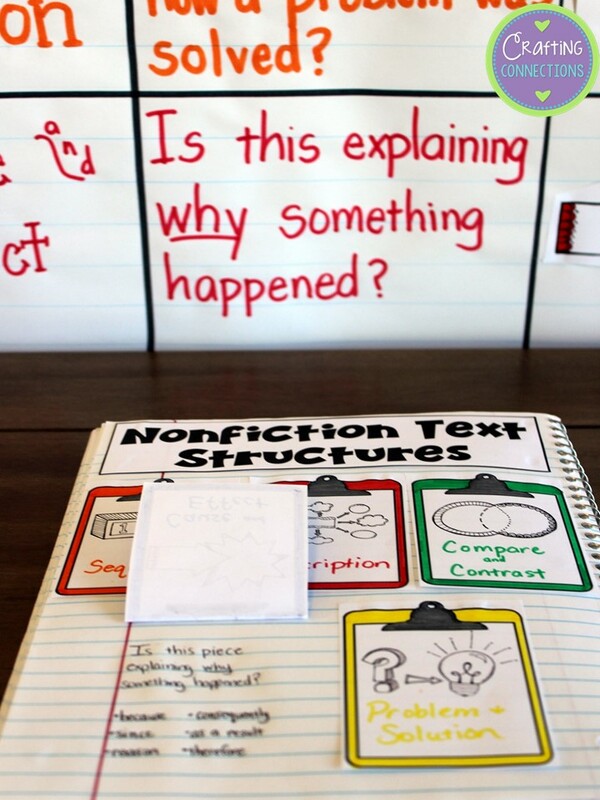 The next component of this lesson includes these five clipboards. As you can see, each clipboard is labeled with the name of a text structure and its matching graphic. I also assigned a number to each clipboard. The incredible text structure clipart is by Aim Less Daze. Finally, I would have my students add the following clipboard images to their reading notebooks. 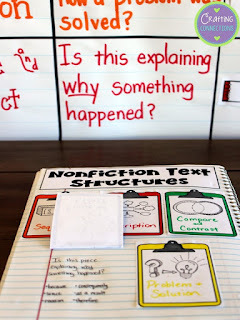 Students can refer to the anchor chart as they write the guided question under each clipboard. 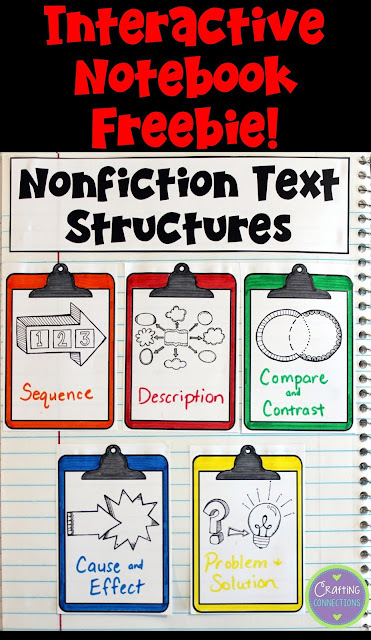 If you are looking for additional resources for teaching text structures to your upper elementary students, feel free to check out the following resources. The entire bundle shown below is currently priced at $8.99, or each individual item is available for purchase, as well. This looks great! 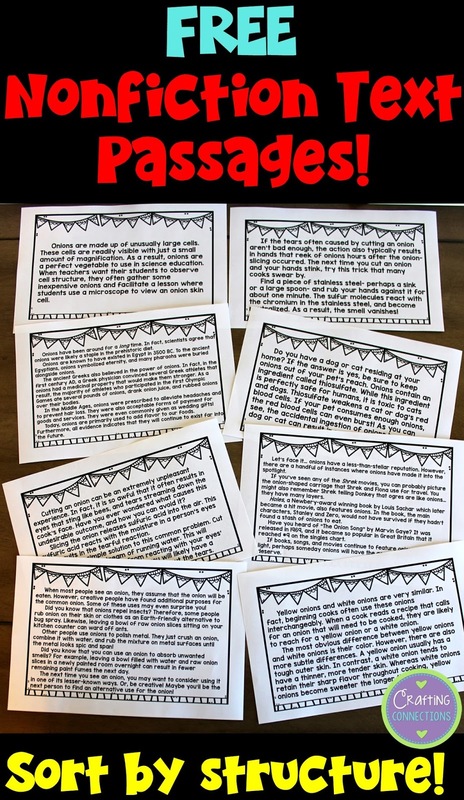 Is there a link to the free passages? 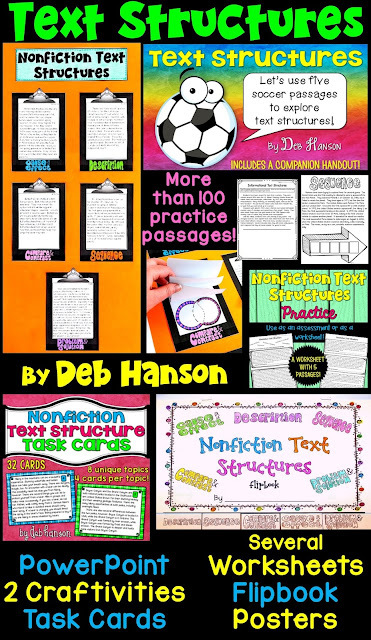 Thank you so much for this WEALTH of ideas and resources for text structure! 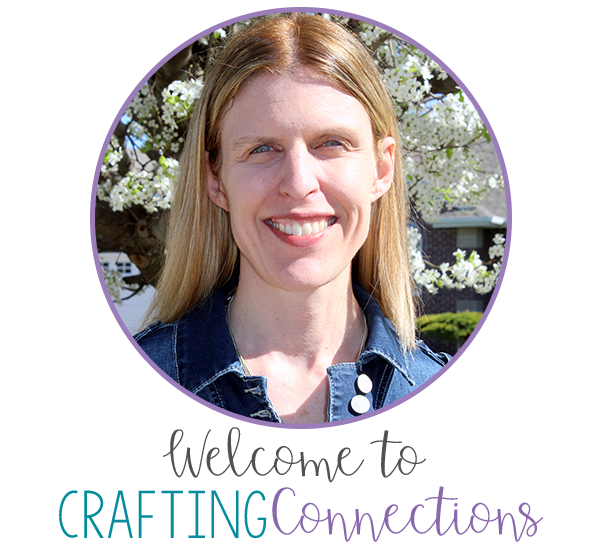 Thanks bunches for the excellent resources!